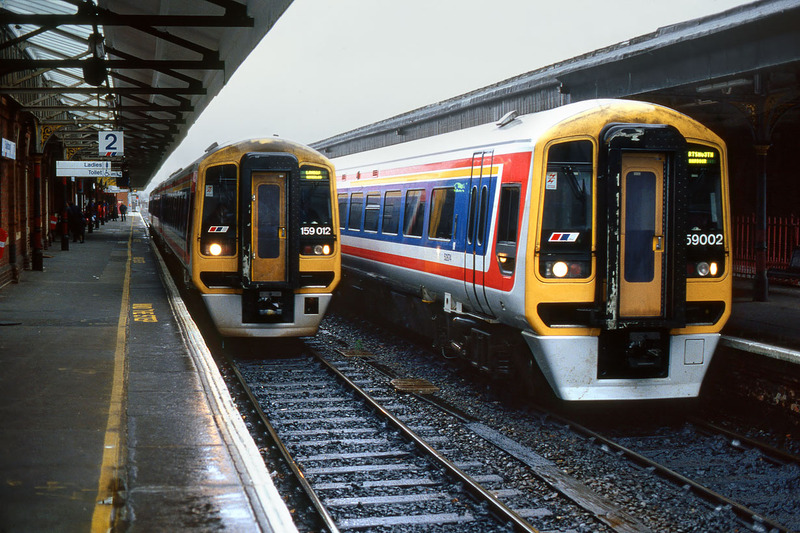 A pair of Class 159s pictured in the rain at Salisbury station on 12 December 1993. 159002 is clearly displaying Portsmouth Harbour in the destination blind, but this does not match up with any train in the timetable. Is it a Sunday replacement for the 07:45 Cardiff to Portsmouth, starting from Salisbury due to Sunday engineering works? Any information would be gratefully received. 159012 is working the 09:38 Yeovil Junction to Waterloo Network SouthEast service.